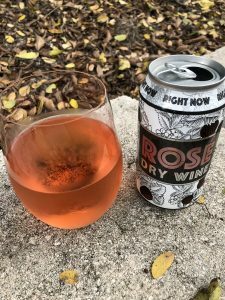 Right Now Canned Wines – Take One Anywhere! 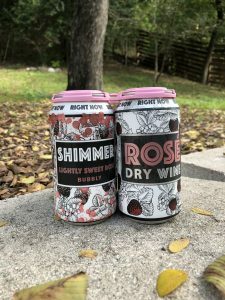 Right Now’s canned wines allow you the freedom to enjoy great wine whenever you want, wherever you want. Created by winemaker Olga Crawford, a Master of Wine, Right Now’s collection of red, white, rosé and shimmer goes great with a variety of tailgate treats, including burgers, dogs, and wings. Elevate your tailgate this fall with Right Now’s convenient cans of high-quality, delicious grapes. Did you know, canned wine is the fastest growing trend in the wine industry, can be really good, and its happening RIGHT NOW. 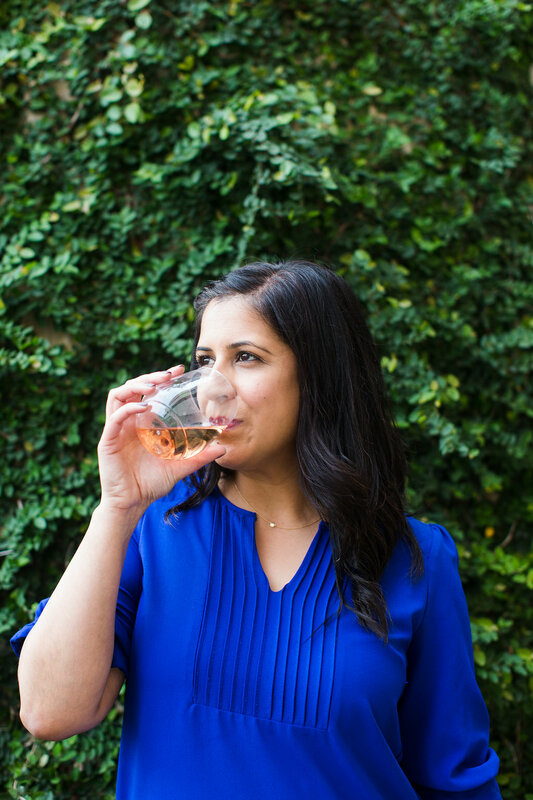 Canned wine is no longer a fad, it’s a $45 million dollar business. Sales of canned wine in the US grew 43% from June 2017-June 2018. Millennial drinkers love the cans because they can buy individual servings, and they’re environmentally friendly. The aluminum cans are 100% recyclable, unlike bottles (with their labels, foils, corks and screw-cap liners), boxes or other wine formats. Aren’t these two cans just beautiful? The Shimmer Sparkling Rosé and the Rosé – get your rosé all day on! So pretty in pink! And dry, just like I like mine! They have an Alpine Stream White and a Red Number 8 and a Red Number 6 all worth trying! Grab a can and let’s cheers to wine on-the-go. This entry was tagged atx, cannedwine, footballseason, halloween, redwine, rightnowcannedwines, rose, sponsored, thanksgiving, vino, whitewine, wine, winemaker. ← Foreign & Domestic is a Brunch Game Changer!